OFFICE IS LOCATED IN THE LIMERICK CROSSING SHOPPING CENTER, WHICH IS AT THE CORNER OF RIDGE PIKE AND TOWNSHIP LINE ROAD. IF YOU ENTER THE CTR AT THE TRAFFIC LIGHT ON RIDGE THE OFFICE WILL BE DIRECTLY AHEAD OF YOU. 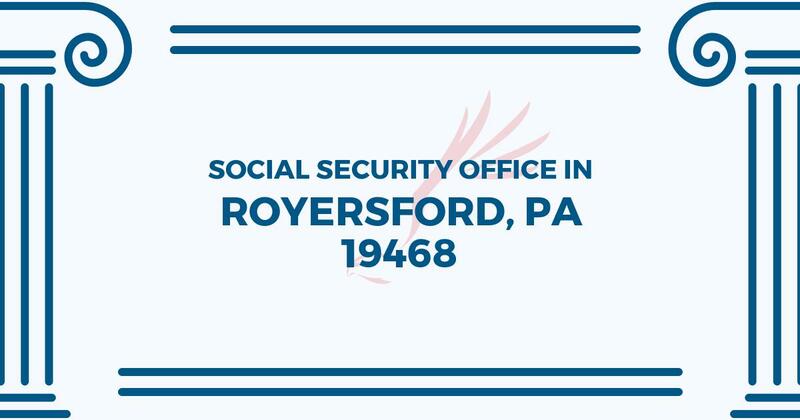 The Royersford Social Security office is located in Royersford 19468. The following page includes information for this location like the office phone number, hours of operation and driving directions. If you have any interests or comments about your retirement benefits or are interested in making an appointment, call the following Royersford Social Security office. The Royersford Social Security office is located in Royersford 19468. The following page features information for this location like the office phone number, hours of operation and driving directions. If you have any inquiries or worries about your disability benefits or are interested in scheduling an appointment, call the following Royersford Social Security office.